The DA Link application is a secure web service which provides Pennsylvania's district attorneys the ability to construct criminal Informations online and submit them electronically to the Courts of Common Pleas. When the criminal Information is electronically accepted in CPCMS, offenses are updated, a docket entry is written to the case and the appropriate case events are added. A secure login is required to access this service. If you have a secure account, log in to begin the registration process. Attorneys can also create an account. This option allows attorneys to securely complete their Attorney Annual Registration and pay the annual fee online or create a voucher to submit payment by mail. Online payment may be made using a Visa, MasterCard, Discover, or American Express credit/debit card for a nominal convenience fee of $2.75. Please note: A user account (login and password) is required to access secure services and applications within the UJS Portal. A single user account can have access to a single or multiple secure areas. There is no need to create separate user accounts to access each secure service or application within the UJS Portal. Online registration for access to PACFile or the Attorney Registration application provides secure access to either application. PACFile access requires an additional appellate court provided access code. Additional secure services can be granted with approval by a District Court Administration or a county Clerk of Courts. The Judicial Assignments option provides access for the intermediate appellate courts, common pleas courts, and magisterial district courts to request the assignment of a judge to their court. The Statewide Warrants option provides access to view warrants generated from the Common Pleas Criminal Court Case Management System (CPCMS) and the Magisterial District Judge Management System (MDJS). Information pertaining to active warrants is available regardless of the date on which the warrant was issued. Information pertaining to inactive warrants is available for warrants issued within the last year. A secure login is required to access this service. The Disposition Lookup option provides access for police officers to view dispositions on cases where they are the arresting officer. The information generated is from the Magisterial District Judge Case Management System (MDJS) for criminal, traffic and non-traffic cases. A secure login is required to access this service. The Bail County Portal provides county users the ability to verify bail payments made online via PAePay. Through this site county users can access approved PAePay bail payment transactions, view public bail records for PAePay eligible cases and case participants, and print or reprint a bail bond. The Financial Records option provides access to search, view and print Unified Judicial System (UJS) contracts and purchase orders. This website displays summary information on contracts and purchase orders of $5,000 or more that were executed on or after July 1, 2008. 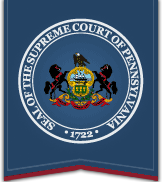 On December 17, 2012, the financial records available on this website were expanded to include appropriation, expenditure, personnel complement and annual compensation information for the Supreme, Superior and Commonwealth courts and the Administrative Office of Pennsylvania Courts.